Introducing the ultimate way to experience the best that Mother Nature has to offer. 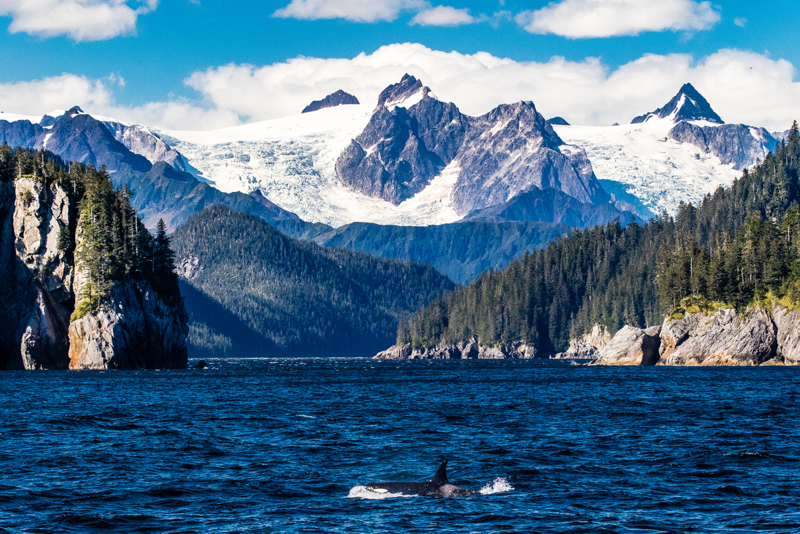 First, get an introduction to the stunning alpine mountains, glacier-fed turquoise lakes and charming towns of the Canadian Rockies, followed by a once-in-a-lifetime cruise through the Inside Passage taking in the vast unspoilt wilderness of Alaska. The Nexus Value Package includes economy airfares, value accommodation in Canada and the US, and cruising aboard Explorer of the Sea with its ice-skating rink, FlowRider surf simulator and myriad dining options. Daily breakfast, air-conditioned motor coach transportation, professional guide and admission to scenic attractions and national parks (unless otherwise stated) are also all included. For 2017 departures in May, June, July, August and September prices start from $4899 per person twin share. Upgrade your cruise package and see things differently. The Premium Package allows you to upgrade your experience, travelling in five-star luxury aboard the newly refreshed Celebrity Solstice. Celebrity Cruises have been voted the best premium cruise line for 8 years running, offering guests the best in service, décor and cuisine, a 2:1 staff to guest ratio and fifteen per cent larger staterooms and bathrooms. The Premium Package also includes premium accommodation, including at stunning Fairmont Hotels & Resorts in Canada. Prices start from $7499 per person twin share. Fly to Calgary via Los Angeles, San Francisco or Vancouver, then transfer to the alpine resort town of Banff. The main thoroughfare is lined with boutiques and restaurants mixed with chateau-style hotels and souvenir shops, while the surrounding 6500 square kilometres of parkland are home to wildlife including elk and grizzly bears. Unwind after your journey by soaking in the natural 40oC spa at the Banff Upper Hot Springs. Enjoy a welcome dinner at the hotel as part of the Fairmont Experience. Experience the breathtaking Canadian Rockies in Banff National Park through the iconic mountain resort towns of Banﬀ and Lake Louise. Marvel at the glorious Moraine Lake with a panoramic view of the Valley of the Ten Peaks, followed by a leisurely hike to the Lower Falls of Johnston Canyon. Then stroll along the picturesque shores of Lake Louise, the ‘Jewel of the Rockies’. The day concludes with a stop at the world famous Banff Springs Hotel and Bow Falls, where you can choose to take a ride to the top of the Sulphur Mountain on the Banff Gondola, followed by a famous Alberta Steakhouse dinner. Today’s highlight is a jaw-dropping road trip to Jasper National Park. Take in the world’s most scenic glaciers, lakes and mountain peaks as you traverse the Icefields Parkway, passing sub-alpine forests on your way to the immense Columbia Icefield. Here, embark on a glacier adventure ride aboard the massive Ice Explorer snow coach onto the surface of Athabasca Glacier (optional admission at your own expense). Next is a quick stop at the powerful waterfall of Athabasca Falls before heading into the beautiful alpine town of Jasper. Step foot on the UNESCO World Heritage Site Mount Robson Provincial Park, home to the highest peak in the Canadian Rockies and recognised for its vast natural beauty and mountain landscapes. Here you can experience peaks, glaciers, lakes, waterfalls, canyons, limestone caves, fossils and rare species. Then take oﬀ to Blue River for an exciting River Safari to stunning Grizzly Bear Valley where you are likely to witness active wildlife on the riverbank (optional admission at your own expense. At the end of the day, reinvigorate yourself with an overnight stay in the city of Kamloops. Set out on a fun hike at Othello Tunnels, a series of old train tunnels and bridges that cut through the solid granite walls and pass over the wild Coquihalla River near the town of Hope, where Rambo First Blood was filmed. After lunch, enjoy a mini tour of cosmopolitan Vancouver, stopping by bustling Granville Island Public Market, a food lover’s paradise, before reaching the coastal city of Richmond. Bid farewell to beautiful Western Canada and cross the border into the United States of America bound for the Port of Seattle to embark on your luxury week-long Inside Passage Cruise of Alaska’s undisturbed wildlife, rugged wilderness and jaw-dropping natural wonders. Enjoy the day at sea sailing through the natural wonders of Alaska. Arrive in Juneau at 12pm. The capital of Alaska, founded during a gold rush in 1880, today the former gold-mining town counts among its riches some of the state’s most spectacular scenery. Nestled at the foot of Mt Juneau in the Alaska Panhandle, it faces the water from the mainland side of Gastineau Channel. Several magnificent fjords are located along the channel coast and the majestic Mendenhall Glacier, a favourite of visitors, is nearby. Depart Juneau at 9pm. Arrive in Ketchikan, the ‘Salmon Capital of the World’, a popular port of call for Alaskan cruisers. It you’re up for an adventure, take a canoe and nature trail excursion through the rain forest or a wilderness exploration followed by a sumptuous crab feast. Depart at 4pm. Cruise to Skagway arriving at 7am and relive the gold rush. Ride the Yukon Railroad, discover Dyea or enjoy horseback riding through majestic forests. Depart at 8:30pm. Cruise to Tracy Arm Fjord arriving at 6am and stand in awe at a landscape carved by glaciers with hundreds of waterfalls cascading down 900 metre granite walls. Depart at 10am. Arrive in Juneau at 1:30pm. The capital of Alaska, founded during a gold rush in 1880, today the former gold-mining town counts among its riches some of the state’s most spectacular scenery. Nestled at the foot of Mt Juneau in the Alaska Panhandle, it faces the water from the mainland side of Gastineau Channel. Several magnificent fjords are located along the channel coast and the majestic Mendenhall Glacier, a favourite of visitors, is nearby. Depart at 10pm. Cruise through Tracy Arm Fjord arriving at 7am and stand in awe at a landscape carved by glaciers with hundreds of waterfalls cascading down 900 metre granite walls. Depart at 12pm. Cruise to Skagway, arriving at 7am, and relive the gold rush. Ride the Yukon Railroad, discover Dyea or enjoy horseback riding through majestic forests. Depart for the Inside Passage at 6pm. Enjoy the day at sea sailing through the calm waters of Alaska. Cruise to Victoria, Canada arriving at 9am and prepare to be romanced with blooming flowers, magnificent architecture, and gourmet treats. Arrive into Victoria, BC at 5.30pm, and depart ay 11.59pm. Disembark the cruise after an early breakfast. Begin your tour of Seattle by learning about the world’s largest airplane manufacturer with a fascinating tour of Boeing Factory complex, recognised in the Guinness Book of World Records as the largest building in the world by volume (optional activity). Head downtown for a familiarisation drive, stopping at scenic overlooks as you pass by distinct neighbourhoods sitting high on hilltops or afloat on the calm waters. Explore the colourful Pike Place Market overlooking Elliot Bay, Seattle’s most popular tourist destination and home to a large variety of shops and restaurants with waterfront views.